Docker Monitoring, Mackerel MeetUp #5 and Mackerel’s 1st Birthday, mackerel-agent update, and more! One year ago yesterday, on September 17th, 2014, we announced the official release of Mackerel, making today the first day of year two! At the MeetUp we held last night on the anniversary of Mackerel’s release, we were very pleased to receive much appreciated feedback and inspiration from our users who attended. Our development team morale is at an all time high, and we’re excited to make Mackerel an even more powerful tool. Now you can monitor Docker in Mackerel by using the newly added mackerel-plugin-docker. Also, we have begun offering mackerel-agent’s Docker image. Using this it’s possible to boot up the mackerel-agent as one container. mackerel-agent 0.23.0 and mackerel-agent-plugins 0.13.0 have been released! The following are the main changes and adjustments that have been made. With check monitoring, monitoring results will continuously be sent to the server when the status is anything other than OK. Until now they would only be sent when the monitoring results changed. As we introduced in a recent blog post, it’s now possible in Mackerel, by setting a service to an external monitor, to have response time monitoring be recorded as a service metric graph. With this update, it’s now possible to configure the response time thresholds for external monitors. If an external monitor’s response time exceeds one of the configured thresholds, an alert will be generated. It’s now possible to configure the number of consecutive abnormality detections needed to produce an alert. For example by setting the number 3 here, 3 consecutive abnormality detections will result in an alert, but if you have this condition set so that just 1 instance of an abnormality is ok, the alert will be closed. With the addition of these new features, detecting signs of trouble with external monitoring is faster than ever. It’s now possible to view custom metrics in role graphs. 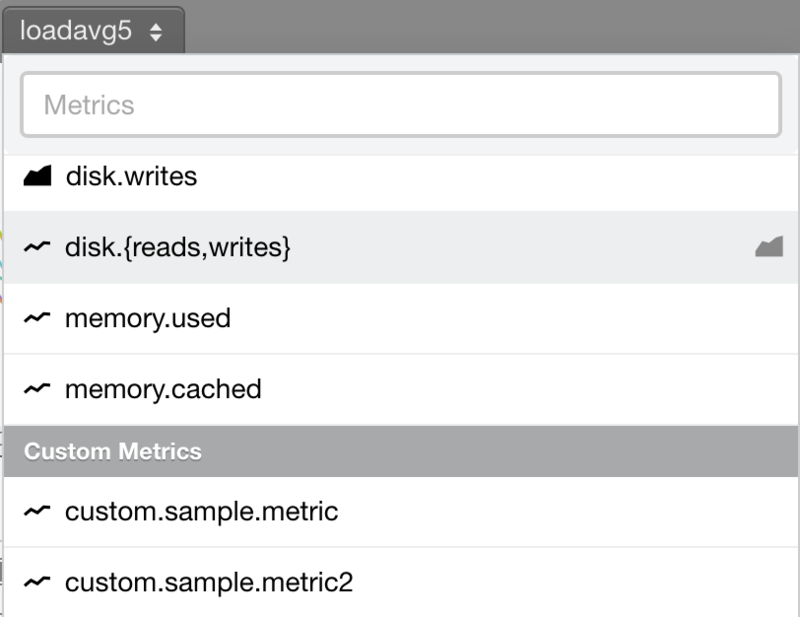 With this you can now get a sense of the statuses of custom metrics across all hosts in each role. In addition to this, you can now also choose the type of graph that will be displayed, line or stacked, when selecting different metrics. In the drop down menu of metrics, the current graph type setting will be displayed as an icon on the left side, and by clicking the icon on the right side you can quickly change graph types and your new settings will be saved. As for custom metrics, they will all be initially set to line graph display. An API for operating custom dashboards has been added to Mackerel. This can be used, for example, to have the graphs of newly added hosts automatically appear inside a custom dashboard. In continuation of our recent addition of read-only API keys, API key names as well as appended notes can now be edited. 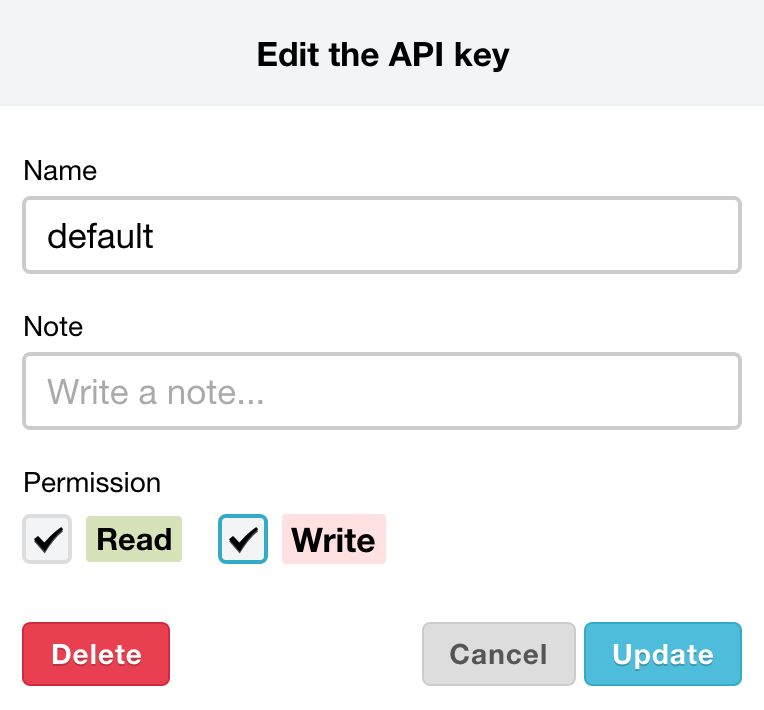 Now when editing an API key’s permissions you can update it’s name and add a note, making API key management easier. Now it’s possible to use the graph slider to adjust the display range of graphs on smartphones and tablets. With this it’s easy to quickly check graphs on mobile devices when you receive an alert while on the go. Mackerel MeetUp #5 was a huge success! 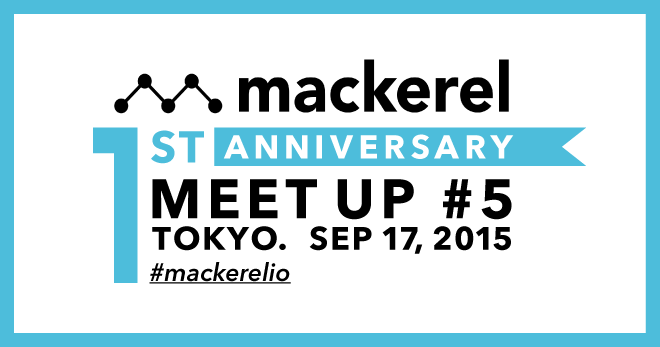 The 5th Mackerel Meetup was held yesterday, September 17th! We want to thank all the people who came out despite the rainy weather, we truly appreciate your support! Check back soon for a full summary of the event’s presentations and revelry. 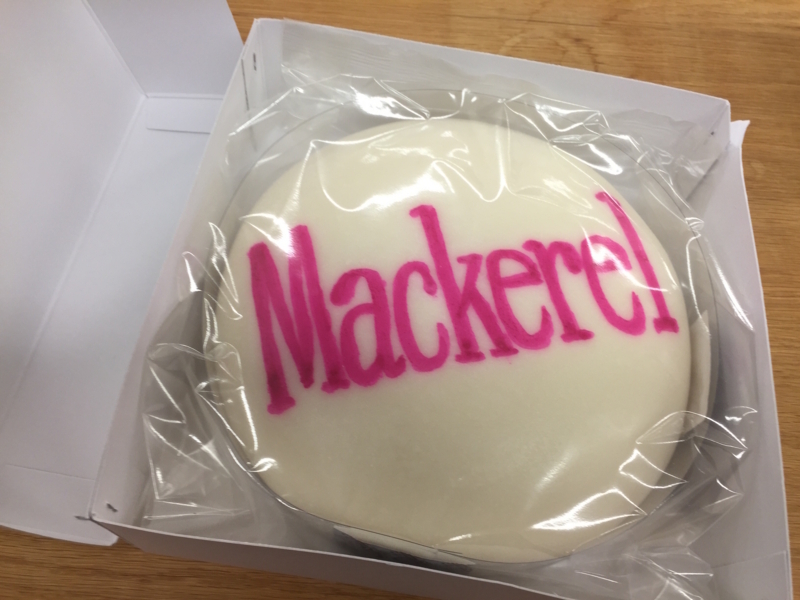 This is a picture of the giant mochi cake made in commemoration of Mackerel’s 1 year anniversary!